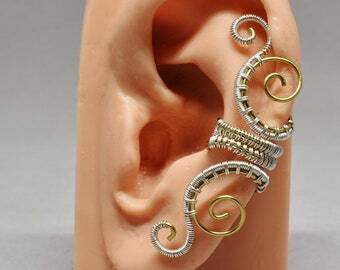 A woven swirly custom ear cuff made with the colors of your choice! 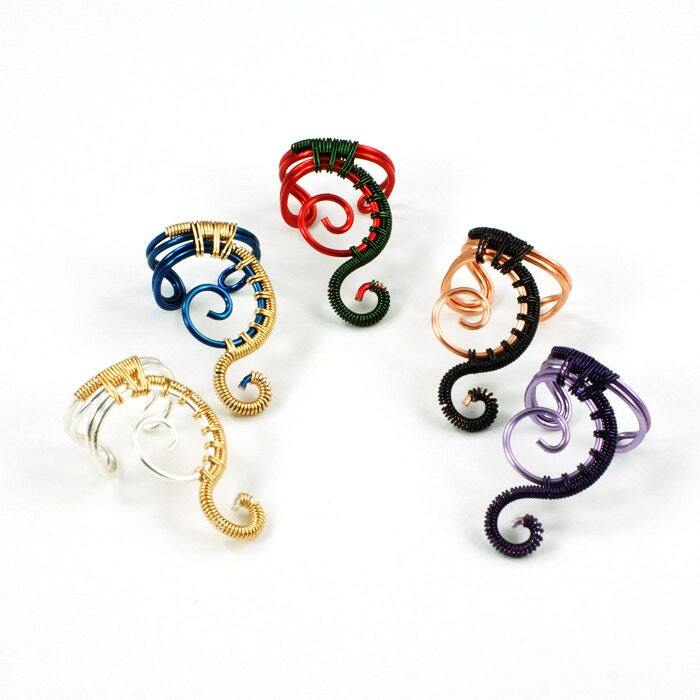 Looking for ear cuffs with your school colors? Or the colors of your favorite sports team? 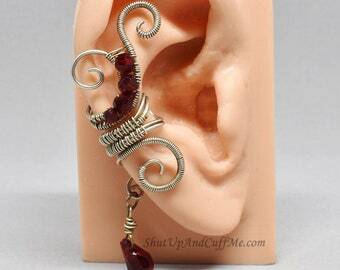 What about holiday colored ear cuffs? Or maybe you just want to show off your two favorite colors, or need something to coordinate with a new outfit. Now you can choose your own custom ear cuffs! You pick the colors you want and which ear you want it made for. See the images above for available wire colors. Use the drop down menus near the Add to Cart button to select the colors you would like. Please add your ear preference to the notes to seller box during checkout. You MUST WRITE IN THE EAR PREFERENCE DURING CHECKOUT! If you forget during checkout, you can send me a private message immediately after checkout to let me know if you want the ear cuff made for the left or right ear. If you do not tell me your ear preference either during checkout or immediately afterwards, I will send an ear cuff for the RIGHT ear. these cuffs are Delicate and well made.